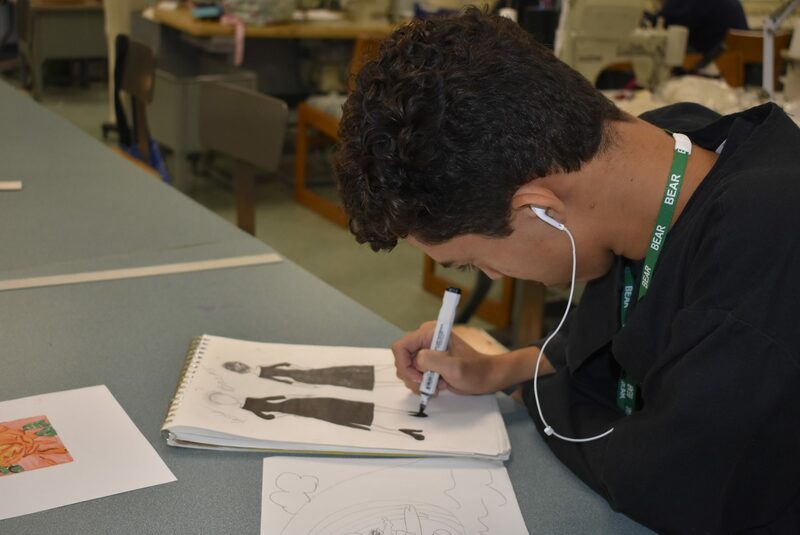 The Fashion Design career and technical program prepares students for work or continuing education related to apparel design and manufacturing, fashion marketing and merchandising and the retail business. 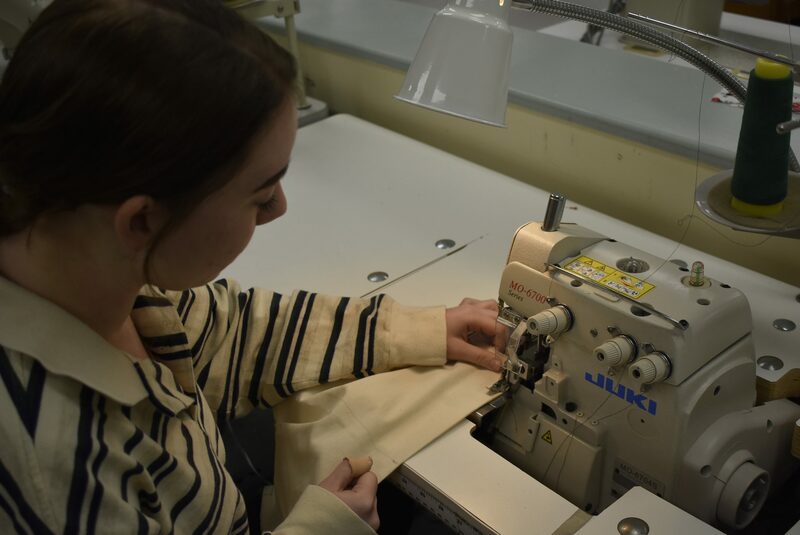 In the Fashion Design program, students start by learning to sew a straight seam and progress to producing a fashion show. Freshmen and sophomore students are taught the fundamentals of clothing construction using a variety of industrial machines. 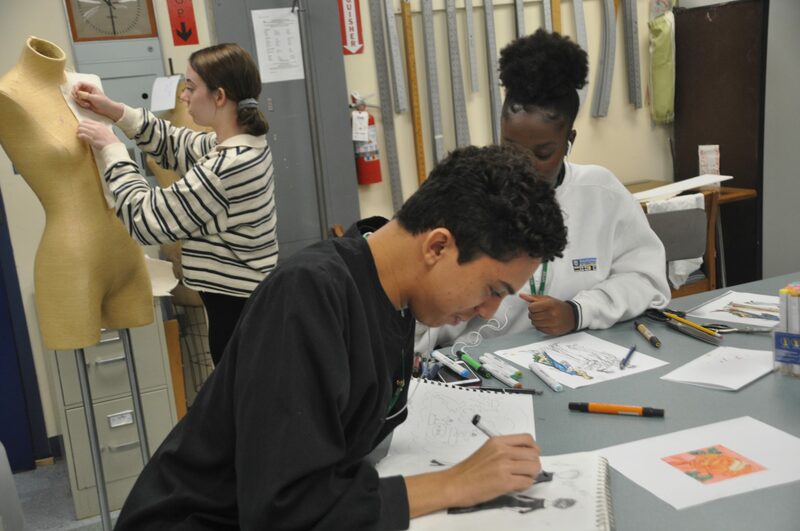 Students use commercial patterns to create various types of clothing, accessories and home goods. Students learn to work with a variety of fabrics, tools, machines and machine attachments. Fabric identification, selection and care are discussed. Traditional fashion illustration and computer assisted illustration and also introduced. Sophomores learn flat pattern drafting as they design a custom skirt pattern. 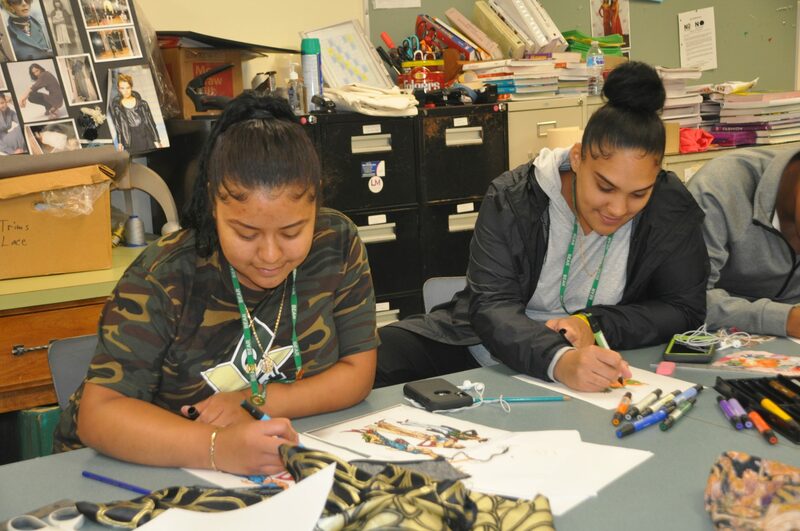 Both juniors and seniors learn computer-aided pattern drafting which they use for personal garments and custom outfits for runway models. 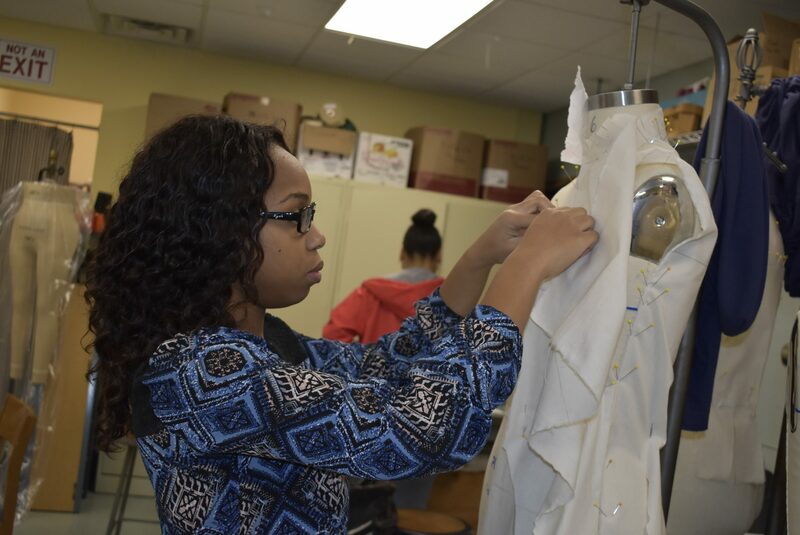 These students also participate in the “Tailor Shop,” an alteration service offered within the school. Lessons include working with clients, fitting techniques, precision work, and record keeping. Students also learn teamwork and time management as they complete “live work” jobs. Juniors learn more advanced clothing construction techniques, proper garment fitting, simple alterations and tailoring. In addition to a wide variety of garments, students also learn to create home decor items like pillows, curtains, and drapes. Seniors continue to develop their design and construction skills through advanced projects. They create career wear, men’s wear, children’s wear, party dresses, lined garments and machine quilts. Students are also introduced to draping a garment on a mannequin. 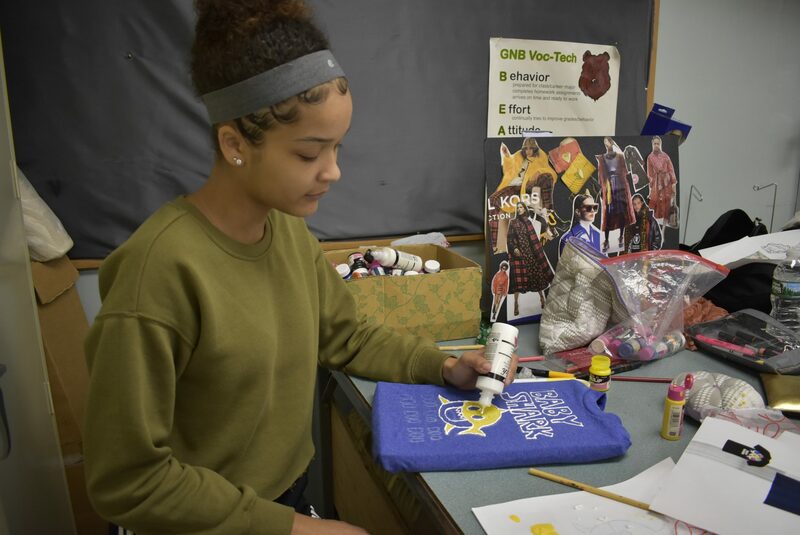 Fashion design students in all grade levels participate in community service projects. The longest running and most rewarding one is an interdepartmental integration project called “Books and Bears”. Home-made fur teddy bears and coloring books are placed in specially design tote bags and given to the New Bedford Police Department’s trauma unit for children in crisis. Throughout each grade level, students attend related classes to reinforce and supplement their trade knowledge. 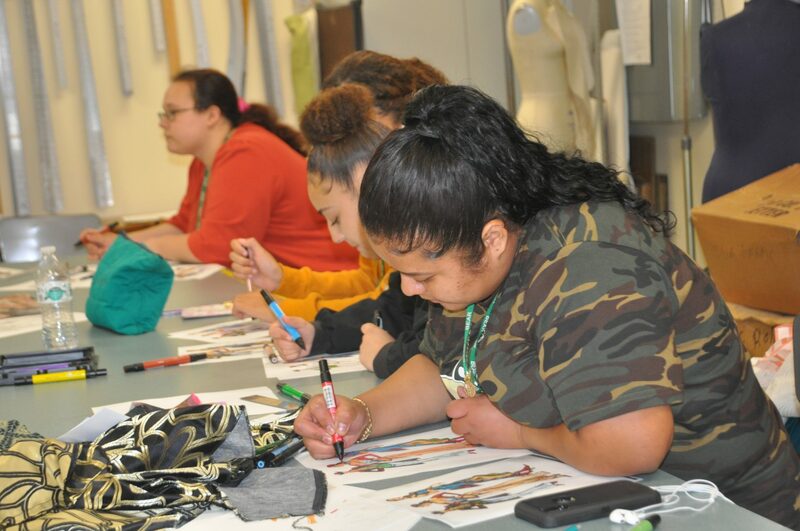 Through a variety of classes, students learn about construction terminology, fibers, fabrics, textile designs, garment styles and color theory. 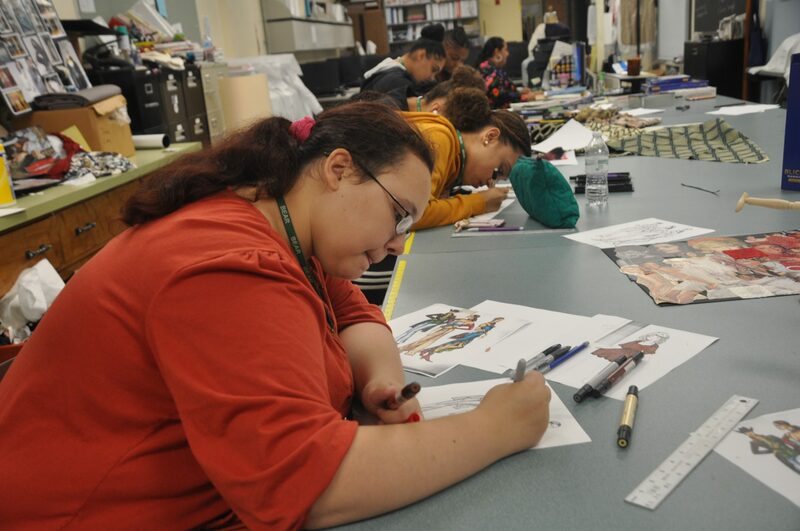 Students design garments and textiles using Adobe Illustrator software. They also study fashion history, marketing, merchandising, entrepreneurship and customer service. 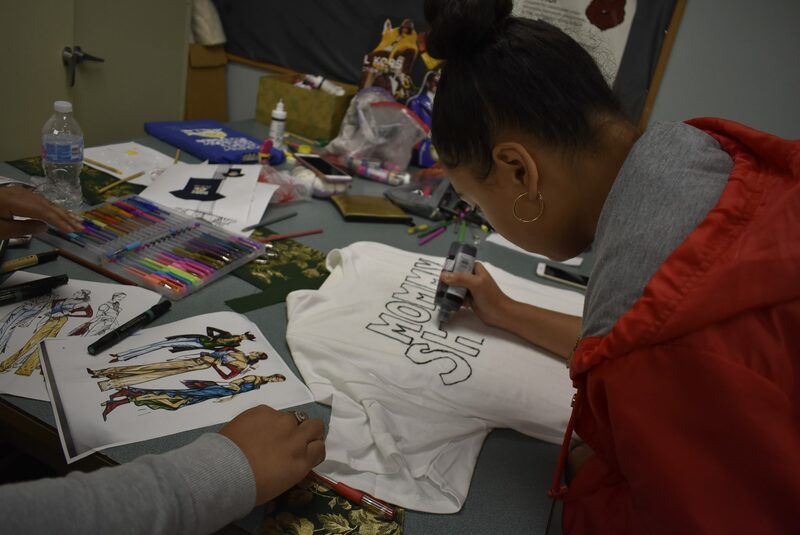 All of the students and faculty in the fashion design department work together to design and create a number of outfits for a spring fashion show. 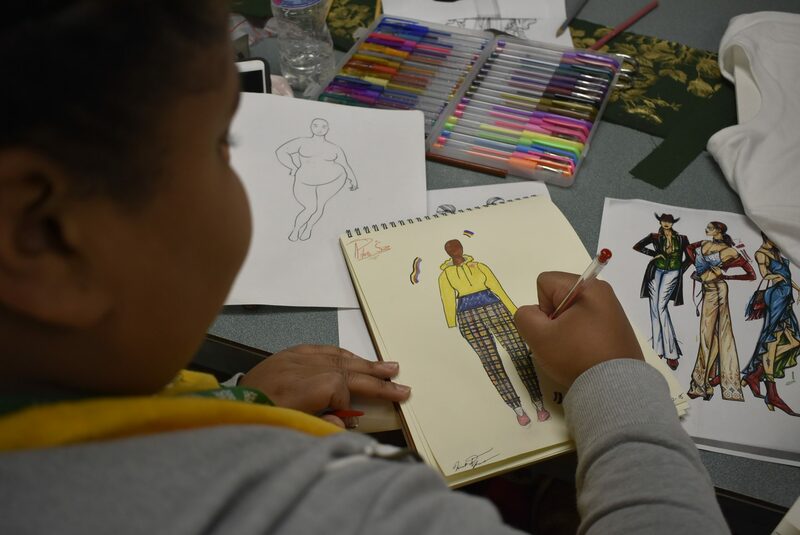 Student designers can model their own creations or fit a model from within the school. 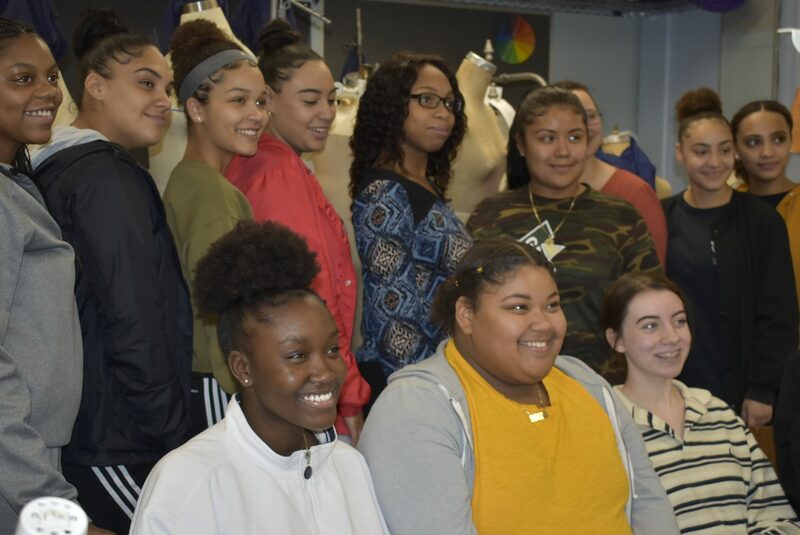 Although many other departments contribute to its success, the runway show highlights the abilities and achievements of the Voc-Tech Fashion Design students. Upon graduation, students can pursue various fashion career paths, continue their education or enter the work force. Those who choose to continue their education can attend a variety of two or four year colleges or universities to obtain an associate’s or bachelor’s degree.